This is where the Guadalupe rivers system releases to the south bay estuaries in the town of Alviso. For other uses, see Guadalupe River. The Guadalupe River mainstem is an urban, northward flowing 14 miles (23 km) river in California whose much longer headwater creeks originate in the Santa Cruz Mountains. The river mainstem now begins on the Santa Clara Valley floor when Los Alamitos Creek exits Lake Almaden and joins Guadalupe Creek just downstream of Coleman Road in San Jose, California. From here it flows north through San Jose, where it receives Los Gatos Creek, a major tributary. The Guadalupe River serves as the eastern boundary of the City of Santa Clara and the western boundary of Alviso, and after coursing through San José, it empties into south San Francisco Bay at the Alviso Slough. The Guadalupe River is the southernmost major U.S. river with a Chinook salmon run (see Habitat and Wildlife section below). Much of the river is surrounded by parks. The river's Los Alamitos and Guadalupe Creek tributaries are, in turn, fed by smaller streams flowing from Almaden Quicksilver County Park, home to former mercury mines dating back to when the area was governed by Mexico. The Guadalupe River watershed carries precipitation from the slopes of Loma Prieta and Mount Umunhum, the two major peaks of the Sierra Azul, the historical Spanish name ("Blue Mountains") for that half of the Santa Cruz Mountains south of California Highway 17. Two of the Guadalupe River's major tributaries, Los Gatos Creek and Guadalupe Creek have their sources in the Sierra Azul Open Space Preserve on the western and eastern flanks of the Sierra Azul. The Guadalupe River was named by the Juan Bautista de Anza Expedition on March 30, 1776, Río de Nuestra Señora de Guadalupe, in honor of the Virgin of Guadalupe, the principal patron saint of the expedition. Specifically, Juan Bautista de Anza camped along the banks of the Guadalupe River at Expedition Camp 97 on March 30, 1776 near the present-day site of Agnews State Hospital (Santa Clara County, 2001). The historic de Anza Expedition explored much of Santa Clara County, traversing western areas en route from Monterey to San Francisco, and traveling around the south end of San Francisco Bay and thence through the eastern portions of the county on the return trip after exploration of parts of the East Bay. In 1777, the original Mission Santa Clara de Thamien and el Pueblo de San José de Guadalupe were established on the banks of Mission Creek, un tiro de escopeta (a musket shot away) from its confluence with the Guadalupe River. Both had to be moved away from the river because of mosquitoes in the summertime and flooding during the winter. Today Santa Clara Mission is 2 miles (3.2 km) away from the original location. Historically the Guadalupe River was even shorter, originating several miles further north, at the downstream end of a large willow swamp that is now Willow Glen. Its main tributary was known as Arroyo Seco de Guadalupe on 1860 maps and then as Arroyo Seco de Los Capitancillos on the 1876 Thompson & West maps. On July 9, 2005, the fossilized bones of a juvenile Columbian mammoth were discovered by San Jose resident, Roger Castillo, in the Lower Guadalupe River near the Trimble Road overcrossing. Roger founded the Salmon and Steelhead Restoration Group conservation organization and has served as a Board member of the Guadalupe–Coyote Resource Conservation District. The Pleistocene mammoth was nicknamed "Lupe" by area residents and Lupe's fossils are exhibited at Children's Discovery Museum of San Jose. Historically, the Guadalupe River flowed into Guadalupe Slough, 1.0 mile (1.6 km) west of its current drainage into Alviso Slough. To make it easier to get sailboats up the Guadalupe River to the port of Alviso, the river was redirected into the straighter Alviso Slough by the 1870s. Alviso Slough, also known as Steamboat Slough historically, was relatively straight, while Guadalupe Slough meandered extensively through the marshes. Alviso Slough was historically not fed by any upland streams, but simply carried tidewater in and out of the extensive salt marshes. The re-routing of the river to Alviso Slough in the 1870s also disconnected it from several tributaries, and had the effect of shrinking the Guadalupe River Watershed. San Tomas Aquino Creek (current) and its Saratoga Creek tributary (previously known as San Jon Creek and Campbell Creek) and Calabazas Creek (historic), used to enter the Guadalupe River upstream of Alviso. These tributaries were disconnected from the river and re-routed directly into Guadalupe Slough between 1876 and 1890 according to historic maps. Reportedly, Saratoga Creek (Campbell Creek) had steelhead and coho salmon runs. Large portions of the tributaries of the river were straightened and armored starting in the late 19th century and continuing through the 20th century first by farmers and then by the Santa Clara Valley Water District (SCVWD) and its predecessor organizations. They now go dry in the summer months and their lower segments have become denuded ditches requiring continuous maintenance. Mission Creek used to harbor trout and salmon but today it is buried in a culvert. The historic watershed can be viewed in the Thompson and West 1876 maps. The Guadalupe Watershed today drains an area of 171 square miles (440 km2). Below its origination at the confluence of Guadalupe Creek and Los Alamitos Creek, the mainstem is joined by three other tributaries: Ross, Canoas, and Los Gatos Creeks. The SCVWD manages water flows (supply) and provides flood control on the river, and recently has started to promote watershed stewardship. Six major reservoirs exist in the watershed: Calero Reservoir on Calero Creek, Guadalupe Reservoir on Guadalupe Creek, Almaden Reservoir on Alamitos Creek, Vasona Reservoir, Lexington Reservoir, and Lake Elsman on Los Gatos Creek. Coyote Creek (lower right) where it flows into the south San Francisco Bay, with the Guadalupe River joining it via the Alviso Slough, and the Guadalupe Slough entering just to the west (left). The ponds between the meandering sloughs, on the left, are salt ponds A5 through A8; in the lower center, bounded by the Alviso Slough and Coyote Creek, A9 through A15. Ending nine years of study and passionate debate about the future of the San Jose/Alviso waterfront, the Santa Clara Valley Water District in November, 2009 voted to approve a $6 million project to clear bulrushes, tule reeds and thick sediment from the Guadalupe River in Alviso. The construction of salt evaporation ponds in the 1930s rerouted the Guadalupe River, cutting off tidal action. Later, in the 1960s, as Alviso was being annexed into San Jose, the Army Corps of Engineers and the water district straightened the river to improve flood safety, which inadvertently increased sedimentation into Alviso Slough. The current project will open a former Cargill Salt pond (known as A8) as the beginning of the South Bay Salt Pond Restoration Project, considered the largest tidal wetland restoration project on the West Coast. When complete, the project should restore 15,100 acres (61 km2) of industrial salt ponds to tidal wetlands. Pond A8 will be the first one worked on. Early written documents record the local presence of migrating salmon in the ‘'Rio Guadalupe'’ dating as far back as the 18th century. Archaeological remains of salmon were found dating through A.D. 300 in the lower watershed in what is now North San Jose. On February 22, 1904 the San Jose Daily Mercury (now the San Jose Mercury News) reported "Several large salmon and steelheads have become stranded in the holes, and after the water has subsided they have become the prey to boys. Several large salmon have been captured even in the city limits." Both steelhead trout (Oncorhynchus mykiss) and chinook or king salmon (Oncorhynchus tshawytscha) continue to make spawn in the river, making San Jose the southernmost major U. S. city with known salmon spawning runs, the other major cities being Anchorage, Seattle, Portland, and Sacramento.From 1992–1994 a genetic study of mitochondrial DNA in 29 fish showed that some have haplotypes not found in Central Valley wild or hatchery salmon, but found in the Russian River. Two subsequent analyses found that chinook salmon in the Guadalupe River are mainly fall run Central Valley chinook, but also that some were genetically similar to lower Columbia River basin salmon.Chinook salmon are adept at colonizing neighboring and even distant streams and rivers, as evidence by the recent finding of juvenile Chinook salmon from the Klamath River in the Napa River. In 2012, the Santa Clara Valley Habitat Plan reported that Chinook salmon currently spawn in the Guadalupe River and its tributaries, as well as Coyote Creek. Because Chinook spawn in early winter and juveniles may migrate to the ocean in their first spring, Chinook are able to use habitats that turn very warm or have low water quality in summer. On the Los Gatos Creek tributary a population of California Golden beavers (Castor canadensis subauratus) has been re-established between Lake Elsman and Lexington Reservoir. The beaver were re-introduced to the portion of Los Gatos Creek where it enters Lexington Reservoir sometime prior to 1997, and recently, a beaver reportedly served as "a hearty meal" for a local mountain lion. Video documentary by Greg Kerekes documented beaver in the Guadalupe River mainstem in downtown San Jose in April, 2013. These are the first beaver recorded in the Santa Clara Valley since zoologist James Graham Cooper captured one in Santa Clara for the Smithsonian Institution on Dec. 31, 1855. Historical evidence of beaver in the area includes reference by Captain John Sutter who around 1840 recorded that 1,500 beaver pelts were sold "at a trifling value" by the Indians to Mission San José. In 1840, from the port of Alviso, California, beaver pelts, cattle hides and tallow were shipped to San Francisco. In addition, in 1828 fur trapper Michel La Framboise travelled from the Bonaventura River to San Francisco and then the missions of San José, San Francisco Solano and San Rafael Arcángel. La Framboise stated that "the Bay of San Francisco abounds in beaver", and that he "made his best hunt in the vicinity of the missions". Golden beaver were apparently wiped out by trappers in the Bay Area sometime after the end of the California Fur Rush. Caspian terns (Hydroprogne caspia), North America's largest tern, return to the Bay every spring to nest, migrating from as far away as Colombia. According to scientists from the U.S. Geological Survey, Caspian tern populations in the South Bay are declining at the same time that high levels of mercury are being found in their eggs. The highest mercury levels found in animals from the Bay were in the eggs of Caspian and Forster's (Sterna forsteri) terns that nest near the Cargill salt ponds at the mouth of the Guadalupe River. A study conducted by the U.S. Fish and Wildlife Service has found that nearly three-quarters of the eggs examined from black-crowned night heron (Nycticorax nycticorax) nests in the Guadalupe watershed contained mercury exceeding thresholds known to kill the embryos of other bird species. The river occasionally floods in downtown San Jose, south of downtown, as well as in Alviso. Flooding prompted President Clinton to declare a National Disaster Area in 1995 and 1997. In March 1995, flooding of this river around the San Jose Arena caused the cancellation of a San Jose Sharks game, the only rainout in the history of the National Hockey League. This flood, like most Guadalupe River floods, was triggered by undersized bridges, in this case the Julian Street Bridge. The river has flooded 15 times since World War II. In response to this flooding, the Santa Clara Valley Water District (SCVWD) launched a series of flood protection projects along the Guadalupe River to ensure that residential and commercial areas near the river are protected from 100-year floods. A major component of the flood control project, designed to control a 100-year flood along the Lower Guadalupe, was completed in late 2008. The greatest Guadalupe River flood on record occurred in 1955 and was part of the legendary "Christmas Week Floods" when the Guadalupe River flooded 8,300 acres (34 km2). After four years of the harsh California drought, in July 2015, the river ran dry for an 8-mile stretch through the city of San Jose. This was due to inadequate storage in upstream reservoirs for the releases of water needed to sustain flow to the river mouth until winter rains returned. The Guadalupe Watershed was an area of intense activity during the California Gold Rush, with the quicksilver mines within Santa Clara County supporting the gold refinement process. Thus, mercury toxicity and its effects on surrounding humans and wildlife is a major concern for the area. Because mercury is an effective magnet for gold, miners during the Gold Rush would regularly line their sluices with Mercury to amalgamate the gold. An estimated 6,500 tons of mercury was lost in the system of creeks and rivers along the coast between 1850 and 1920, and is currently being detected today in the local streams, animal life, and riverbeds of these affected tributaries. The Guadalupe River Trail runs along 11 miles (18 km) of the river bank. ^ Thomas, John Hunter (1991). Flora of the Santa Cruz Mountains of California: A Manual of the Vascular Plants. Stanford University Press. p. 5. ISBN 978-0-8047-1862-2. Retrieved 2014-07-27. ^ Ingersoll, Luther A. (1893). Henry D. Barrows (ed.). A memorial and biographical history of the coast counties of Central California. Lewis Publishing Company. p. 190. Retrieved 2014-07-27. ^ Fava, Florence M. (1976). Los Altos Hills the Colorful Story. Woodside, California: Gilbert Richards Publications. p. 10. ^ a b Historical Atlas of Santa Clara County California. San Francisco, California: Thompson & West. 1876. ^ Eric Simons (June 27, 2018). "The Guadalupe River and the Hidden Heart of San José". Bay Nature. Retrieved July 2, 2018. ^ Bernard, Don. "Salmon and Steelhead Restoration Group". Retrieved 2011-06-19. ^ Sanders, Robert (Aug 8, 2005). "Elephants in San Jose?". UC Berkeley News. Retrieved December 21, 2009. ^ Pyenson, Nick. "Metropolitan Mammoth – One fossil's journey from riverbed to museum exhibit". Berkeley Science Review. Archived from the original on June 12, 2010. Retrieved December 21, 2009. ^ "Guadalupe Slough". Geographic Names Information System. United States Geological Survey. ^ "Alviso Slough". Geographic Names Information System. United States Geological Survey. ^ "Guadalupe Slough Watershed". Oakland Museum. Retrieved Jan 15, 2010. ^ Durham, David L. (1998). Durham's Place Names of California's San Francisco Bay Area: Includes Marin, San Francisco, San Mateo, Contra Costa, Alameda, Solano & Santa Clara counties. Word Dancer Press, Sanger, California. p. 162. ISBN 978-1-884995-35-4. Retrieved Jan 15, 2010. ^ "Guadalupe Watershed, Santa Clara Valley Urban Runoff Pollution Prevention Program". Retrieved December 21, 2009. ^ Rogers, Paul (Nov 10, 2009). "Santa Clara Valley Water District approves project to widen Guadalupe River at Alviso". San Jose Mercury News. Retrieved December 21, 2009. ^ Bauer, Ian (Aug 5, 2009). "Federal Monies Back Salt Pond Flow Project" (PDF). Milpitas Post. Retrieved December 21, 2009. ^ Leidy, R.A.; Becker, G.S. ; Harvey, B.N. (2005). "Historical distribution and current status of steelhead/rainbow trout (Oncorhynchus mykiss) in streams of the San Francisco Estuary, California" (PDF). Center for Ecosystem Management and Restoration, Oakland, CA. Retrieved 2009-10-18. ^ Anastasio, Rebecca Loveland (1988). "Middle Horizon Sites in North San Jose" (PDF). Proceedings of the Society for California Archaeology. Basin Resource Associates, Inc. 1: 393–410. Retrieved September 18, 2016. ^ "Anglers Rejoicing over Recent Freshets. Good Trout Fishing is Now Insured in This County. Salmon and Steelheads Being Speared in Local Streams". San Jose Daily Mercury. 22 February 1904. Retrieved 16 January 2017. ^ "Chinook Salmon". NOAA's National Marine Fisheries Service. Archived from the original on 2010-09-11. Retrieved Sep 13, 2010. ^ Nielsen, J. L. (1995). Mitochondrial DNA Frequency Distributions in Chinook Salmon from the Sacramento-San Joaquin Basin and Guadalupe River 1992–1994, California Department of Fish and Game Technical Report FG 2081 IF (Report). 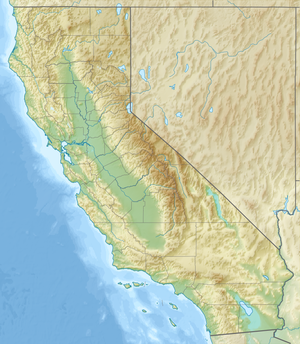 Sacramento, California and Monterey, California: California Department of Fish and Game, Anadromous Fisheries Division and Hopkins Marine Station, Stanford University. ^ NOAA National Marine Fisheries Service (1999-09-16). Endangered and Threatened Species; Threatened Status for Two Chinook Salmon Evolutionarily Significant Units (ESUs) in California (PDF) (Report). 64. Federal Register. p. 50401. Retrieved 2013-04-21. ^ Garcia-Rossi, Dino; Hedgecock, Dennis (2002). Provenance Analysis of Chinook Salmon (Oncorhynchus tshawytscha) in the Santa Clara Valley Watershed (PDF) (Report). Santa Clara Valley Water District. Retrieved 2015-08-22. ^ Garza, John Carlos; Pearse, Devon (March 2008). Population genetics of Oncorhynchus mykiss in the Santa Clara Valley Region (PDF) (Report). Santa Clara Valley Water District. Retrieved 2015-08-22. ^ Garza, John Carlos; Crandall, Eric D. (July 2013). Genetic Analysis of Chinook Salmon from the Napa River, California (PDF) (Report). U. S. Fish and Wildlife Service, Napa County Resource Conservation District. Retrieved 2015-08-22. ^ Santa Clara Valley Habitat Plan (Report). Santa Clara Valley Habitat Agency. 2012. Retrieved September 18, 2016. ^ Krieger, Lisa M. (Oct 5, 2009). "Tracking the big cats". San Jose Mercury News. Retrieved Nov 25, 2009. ^ Colgan, Mike (2013-04-10). "Family Of Beavers Takes Up Residence In Downtown San Jose". CBS5-KPIX. Retrieved 2013-04-10. ^ Louie, David (2013-04-10). "Beaver colony sighted in downtown San Jose". ABC7-KGOTV. Retrieved 2013-04-10. ^ "Castor canadensis subauratus, catalog number USNM 580354". Smithsonian National Museum of Natural History. Retrieved May 10, 2010. ^ Anderson, Kat (2006). Tending the wild: Native American knowledge and the management of California. University of California Press. p. 79. ISBN 0-520-24851-1. ^ Mehaffy, Caroline; Mehaffy, Bob (1999). Revised and Expanded Cruising Guide to San Francisco Bay. Arcata, California: Paradise Cay Publications. p. 155. ISBN 978-0-939837-31-1. ^ Maloney, Alice Bay; Work, John (December 1943). "Fur Brigade to the Bonaventura: John Work's California Expedition of 1832–33 for the Hudson's Bay Company (Continued)". California Historical Society Quarterly. 22: 343. JSTOR 25155808. ^ Kay, Jane (October–December 2003). "Four Threats to a Healthy Bay – Habitat Loss; Pollution; Freshwater Flow; Invasive Species". Bay Nature. Retrieved December 22, 2009. ^ Hahn, Randy (Oct 16, 2007). "San Jose Sharks – Seagate Technology's "In the Crease": The Weird Factor". Archived from the original on May 29, 2010. Retrieved May 5, 2010. ^ Rogers, Paul (March 14, 2009). "Major flood project completed on Lower Guadalupe River in San Jose" (PDF). San Jose Mercury News. Retrieved December 21, 2009. ^ Rogers, Paul (August 8, 2015). "River that runs through downtown San Jose goes dry; fish and wildlife suffer". San Jose Mercury News. Retrieved August 10, 2015. ^ Crimp, David; Patmore, Leda; Hogan, C. Michael; Seidman, Harry; Paparigian, Vivian (1976). Final Environmental Impact Report, Almaden Quicksilver Park (Report). Santa Clara County Parks and Recreation Department. ^ McKee, Lester; Leatherbarrow, Jon (October 2002). "Measurement of Sediment and Contaminant Loads from the Guadalupe River Watershed" (PDF). San Francisco Estuary Institute. Retrieved 7 November 2016. ^ Fuller, Amanda (2002). "Addressing the Environmental Mercury Problem in Watersheds: Remediation in the Guadalupe River Watershed" (PDF). San Jose, California: University of California, Berkeley. Retrieved December 21, 2009. ^ Russell, Daniel L. (April 2005). "Derivation of Numeric Wildlife Targets for Methylmercury in the Development of a Total Maximum Daily Load for the Guadalupe River Watershed". U.S Fish and Wildlife Service. Retrieved December 21, 2009. ^ Young, Sarah; McMurtry, Richard; Stanley-Jones, Michael; Ringer, Alice (February 2003). Watershed Assessment Report, Chapter 4: Assessment of Guadalupe Watershed (Report). II. pp. 4–9. Archived from the original on 2015-05-05. Retrieved 2014-07-26.